Tier44 Technologies, Inc. today announced it has received certification of its application with ServiceNow®. Certification by ServiceNow signifies that PAR4 has successfully completed a set of defined tests focused on integration interoperability, security, and performance. Santa Clara, CA, December 1, 2015	(Newswire.com) - Tier44 Technologies, Inc. today announced it has received certification of its application with ServiceNow®. Certification by ServiceNow signifies that PAR4 has successfully completed a set of defined tests focused on integration interoperability, security, and performance. The certification also ensures that best practices are utilized in the design and implementation of PAR4’s application with ServiceNow. PAR4 creates reference templates that you can associate with your device details. No more data entry by device, just pick the appropriate reference template and you have accurate power and efficiency details. 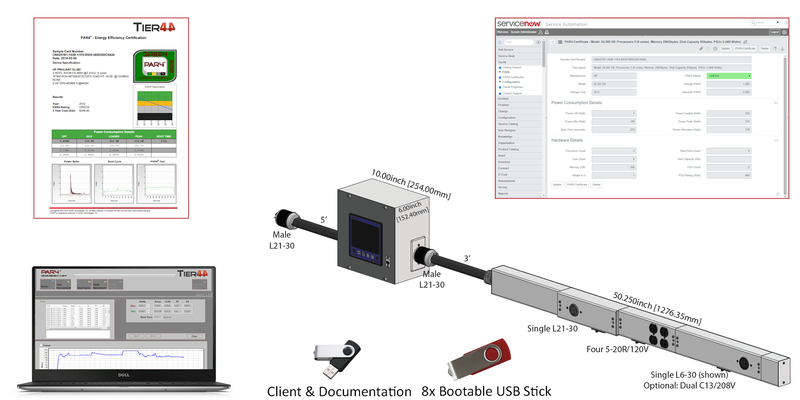 PAR4 also includes a complete bench test kit with meter, laptop, measurement software, and USB flash drives that come bundled with the application and delivered directly from Tier44, that will automatically create reference templates in ServiceNow upon completion of each benchmark. This makes it quick and efficient to create the reference templates and to have the right information available to optimize your data center capacity. The PAR4 solution is now available in the ServiceNow online store. A trial version of the application (including sample reference templates) can be downloaded for free to see all available details. However, only the full subscription includes the bench test kit to perform your own measurements. "Using PAR4, ServiceNow customers will increase accuracy of configuration management information, are able to perform better capacity planning, and typically find available power for additional equipment in racks previously deemed full," said Clemens Pfeiffer, President and CEO of Tier44 Technologies, "By being able to add more equipment into the existing space, organizations can save millions of dollars in new data center construction." For more information on PAR4, visit the ServiceNow Store. Tier44®, PAR4®, Holistic Power Management®, Holistic Data Center Management®, and EM/8® are registered trademarks of Tier44 Technologies, Inc. All other product names and references remain the trademarks or registered trademarks of their respective owners.